Are you stuck doing soul-crushing legal work? In this powerful book, business acumen meets legal visionary to help you escape the rat race. Many lawyers are stuck in a rut and unable to leave the merry-go-round of billable hours and soul-crushing work. Many chase the elusive work-life balance. Others feel they can provide quality service for better prices. However, there are only a handful of books about starting up your own law practice. Lawyer Up! How to be The Boss at Your Own Law Firm fills this gap. 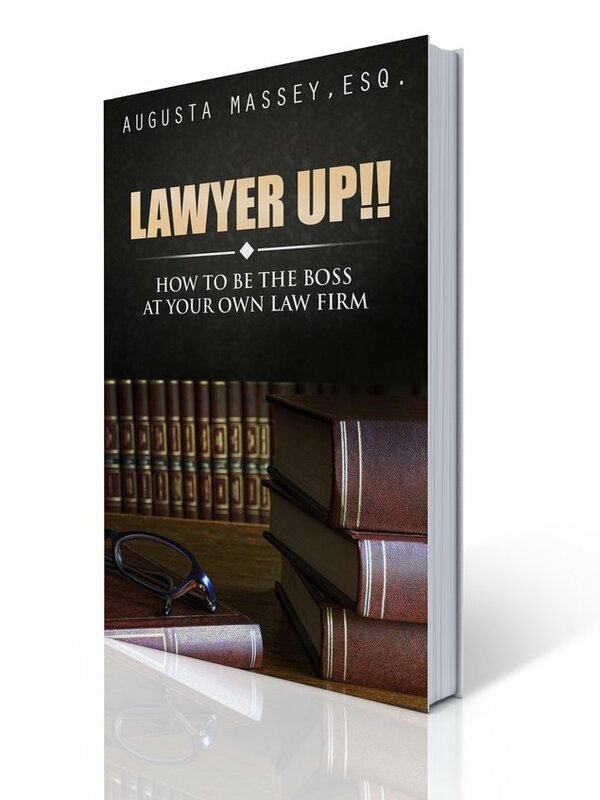 It offers the reader a step-by-step method of starting up a successful law firm. This book is perfect for any legal entrepreneur who is interested in obtaining actionable intelligence that can help propel and/or protect his or her law practice. Lawyer Up! 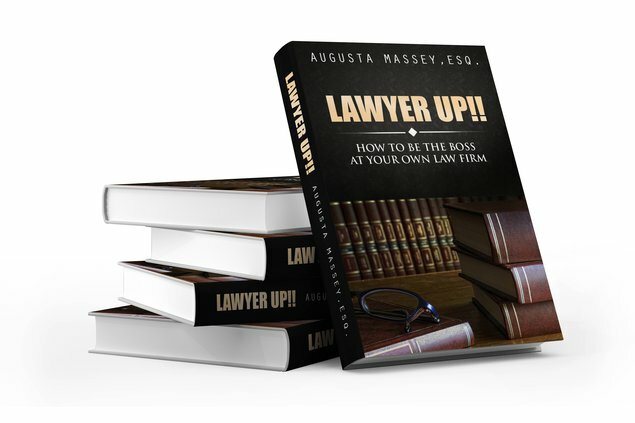 is particularly recommended for law students, law school graduates, mid-level associates and everyone in the legal industry who has ever considered firing their boss. This book is complete and ready for publishing. To facilitate wider circulation, I am currently in discussion with a few publishers. However, efforts are also underway to self-publish the book in case I'm not able to secure the service of a publisher. My goal is to raise sufficient funds to publish both paper back, hard cover, and other electronic formats for Kindle, iBooks, etc. Since the book is highly practical and contains actionable intelligence, a few teaching colleagues have offered to recommend the book as additional references for their 2015 Fall Semester courses - the more reason I need your support to take this book to press. My book starts with an in-depth look at the mindset of an entrepreneur. Lawyer Up! is filled with charts, worksheets, and other tools aimed to test your metal as a legalpreneur. Once you have the right mindset and motivation, the next step is to figure out concrete steps on making your dream a reality. The book covers whether you need a partner, how much you need in start-up costs, getting clients, and a host of other items. Specifically, part one explores legal entrepreneurship and whether it is a right fit for you. It includes a test to determine if you have the "heart" of an entrepreneur and some personal considerations to heed. Part two explores the practical steps for setting up your law practice. I spend time discussing market research, naming your law firm, determining office needs, how to hire resources, selecting the right paperwork, and a full sample of a business plan. This section ends with useful funding ideas. The third and final part of the book, discusses the importance of an online presence, networking, and concludes with an entrepreneurial preparedness test. I have been involved in law and legal endeavors for as long as I can remember. But deep inside, I have also longed for freedom and creativity. I am a builder by nature, not simply an attorney or mediator. Despite the hefty cushion of my laurels, I was not destined to rest on them. I also knew that I was not going to work for some prestigious law firm for the rest of my life. 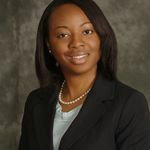 I knew what I wanted and fully intended to achieve it by stepping out and creating a law firm worthy of attention and the lofty ideals of my profession. I was going to be an entrepreneur. And that is where the struggle started. I was quite astonished to see that most of the smaller law firms and startups had no spirit of entrepreneurship governing their efforts. They were under the impression that a law firm had to be a stocky, stolid proposition without excitement, flexibility or spontaneity! This puzzled me to no end. I started scouring the market for any resource which handled the process of setting up a law firm from the right angle and with the correct approach - the approach of an entrepreneur - and was severely disappointed. A well written step-by-step documentation of the process is indeed laudable because it takes away a lot of the indecision and confusion plaguing novice as well as experienced law practitioners, who desire to set up a firm from scratch. A law firm is like any other business. It needs employees, it turns over a profit, and the better positioned and branded it is, the more chances that clients will pour in. With the internet and the search engine giants, around 75% of people research their local attorneys before dropping by for a visit and even more initiate the first contact digitally by email or short messages. If an application development company can be the epitome of entrepreneurial spirit and take calculated and prudent risks to grow by leaps and bounds, what invisible shackles are holding back lawyers and attorneys from stepping into the realm of powerful and liberating business practices? The answer to a large extent is preconception and the nature of the work we undertake. It certainly won't do to jump ahead of the horse and the cart and start recommending a solo practice for every legal eagle with entrepreneurship dreams. A solo practice can be liberating, exhilarating and life changing. It can also be a lot of work. When push comes to shove, you don't have anyone to share your woes and your burdens with. It may sound harsh but it is best to get the truth out there instead of sugar coating reality. “Legalpreneurship" is a new trend that is sweeping the world, carrying in its tide enthusiastic and independent men and women who want to not only earn money doing what they love, but have fun and enjoy flexibility, while doing it. The word legalpreneur derives its meaning from the juxtaposition of the words “legal practitioner" and “entrepreneur" and represents that portion of the spectrum where the innovative and creative look to change their world and the lives of those around them. A legalpreneur is a legal entrepreneur who works alone or solo. Like any practice in the world, legalpreneurship has its advantages and its flip sides. Traditionally speaking freelancers are considered to be ideal examples of legalpreneurs, working to give to the business community yet maintaining their own identity and not deriving nourishment or support from a steady team of associates and employees. Power down your laptop and leave for a Roman vacation, without needing to make a single “accountability" phone call. You know those “I will be back by next Sunday so you take care of the Johnson's account" ones! Work in pajamas, without brushing your teeth. This isn't that applicable for lawyers unless you are doing tele-consultations. Hog all the annual profits and buy a yacht. Name your practice by honoring your dead parakeet from second grade. Just ensure it is something catchy and memorable. You get the scope and implications don't you? Afford to lounge around in bed with a sore throat if clients are tearing down your doors. You don't have a sounding board for your ideas. A partner is someone who is cognizant of the business and the need of the moment and can be your best guide in hard times. Share the responsibilities and double your income quickly. In short, just as with the concept of entrepreneurship, flying solo boils down to your innate characteristics and behavioral patterns, your energy profile and your motivations behind starting your own business. A thorough evaluation of all the factors can better equip you to take the crucial decision to embrace legalpreneurship or go with one of the available alternatives. We will quickly discuss “Energy Profiling" here and then use the result of your “Exploring Entrepreneurship" table in conjunction with your motivations to define your Legalpreneur scale. Developed and popularized by Carol Tuttle, energy profiling is a very logical and tangible evaluation modality which bypasses our conscious mind and our habits (which can be modified and tainted by circumstances) to tap into the sub-subconscious mind and its manifestations in order to determine the dominant energy type of a person and thus the attendant characteristics. Energy profiling categorizes human beings into 4 main energy groups namely Type 1, Type 2, Type 3 and Type 4.